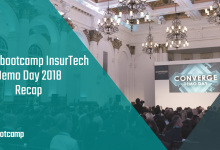 London, 18 May 2018 – Startupbootcamp InsurTech yesterday celebrated the end of its third annual program in front of an audience of 500+ insurance industry experts, investors and entrepreneurs, hosted at 8 Northumberland Avenue in central London. 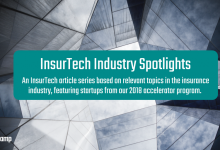 The 10 startups that took to the stage showcased technologies applicable to the insurance industry, with propositions ranging cyber security, digital health, risk prediction and prevention, customer engagement, the sharing economy, and beyond. Zeguro, cyber insurance provider and virtual cybersecurity officer for small to mid-sized enterprises, has signed a partnership with Hartford Steam Boiler part of Munich Re, to underwrite, and offer comprehensive and customized cyber insurance, across all 50 US states. 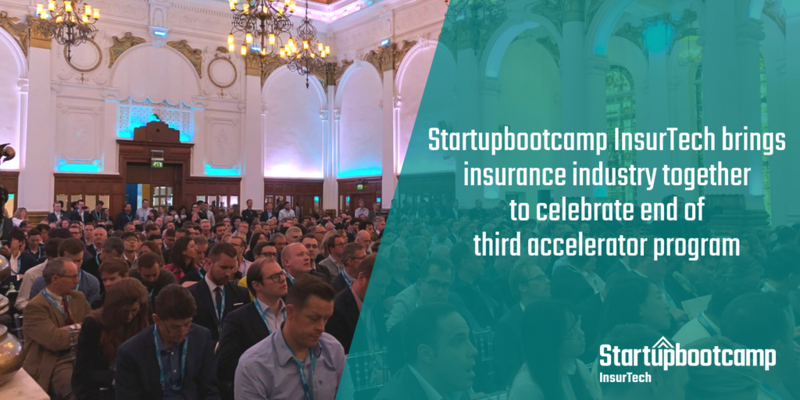 Over the last three years, Startupbootcamp has accelerated more than 50 startups relevant to InsurTech, who have achieved 300+ pilots and partnerships, and raised a total funding of more than €48 million. 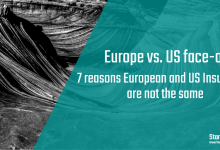 “This year, we have seen great talent join us from around the world, and the startups on stage in London yesterday should be immensely pleased with their achievements so far. We look forward to continuing to work with them closely after the program. 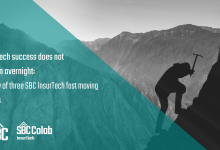 Colab is an innovation program designed for fast-evolving markets. It provides established industry players early access to relevant growth stage companies. Through a theme-based approach, the co-creation lab equips corporates in markets, like London and New York, with the capability and experience to create engagement and solve real business problems. Colab runs in waves throughout the year with each cycle targeting a different industry theme. This allows the partners and growth companies to tackle specific industry problems of most importance to them. More details will be announced shortly. 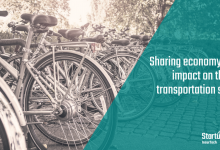 For more information on Colab and to get involved, sign up here. The INSURTECH Book: The Insurance Technology Handbook for Investors, Entrepreneurs and FinTech Visionaries, is a ground-breaking guide to the disruptions, innovations and opportunities that technology affords the insurance sector. 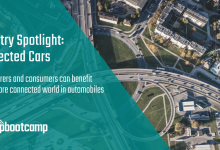 Co-authored by Startupbootcamp InsurTech CEO Sabine VanderLinden, pre-order your copy from Amazon now. The INSURTECH Book has already been listed on Amazon’s Bestseller List.